Can I view the Health and Safety Costs in the 'Structure' toolbox? The Health and Safety costs are shown in the Structure toolbox -> see the explanatory image only if determined analytically by means of specific health and safety cost items entered in the SAFETY COSTS editor -> see explanatory image . 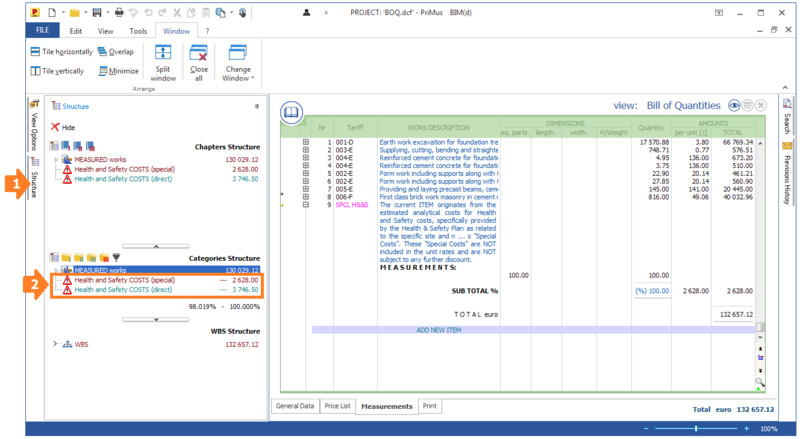 In case, health and safety costs are determined according to the percentage incidence shown for each price list item used in the works estimate and , not through a specific health and safety estimate entered in the HEALTH AND SAFETY COSTS editor; these are not displayed in the Documents Structure toolbox.